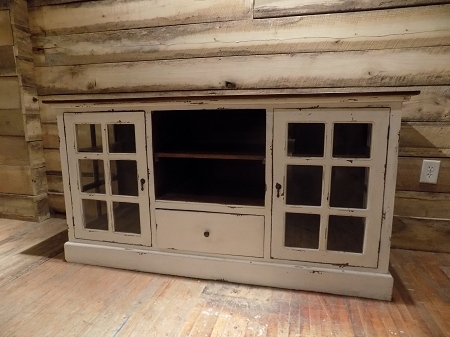 Coastal white finished kitchen buffet or sideboard. The wrap around glass allows for great displays. 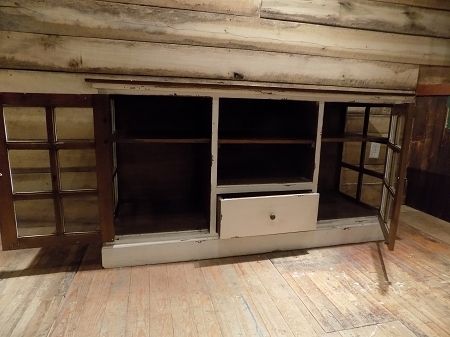 Multiple shelves for your collectibles or kitchenware. 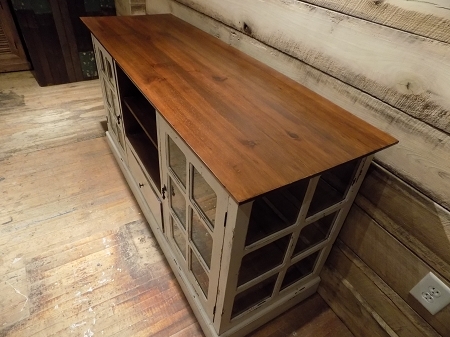 This piece can also be used as a media console with your TV resting on top. We can finish the top with a more natural feel than the dark wood stain too.